I have learned a little more about the institution where I am working. 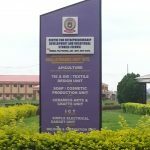 The Federal Polytechnic Ado-Ekiti, as its name implies, is a technical, post high school educational institution. Degrees are offered in fields such as engineering, business, and science, including computer studies. 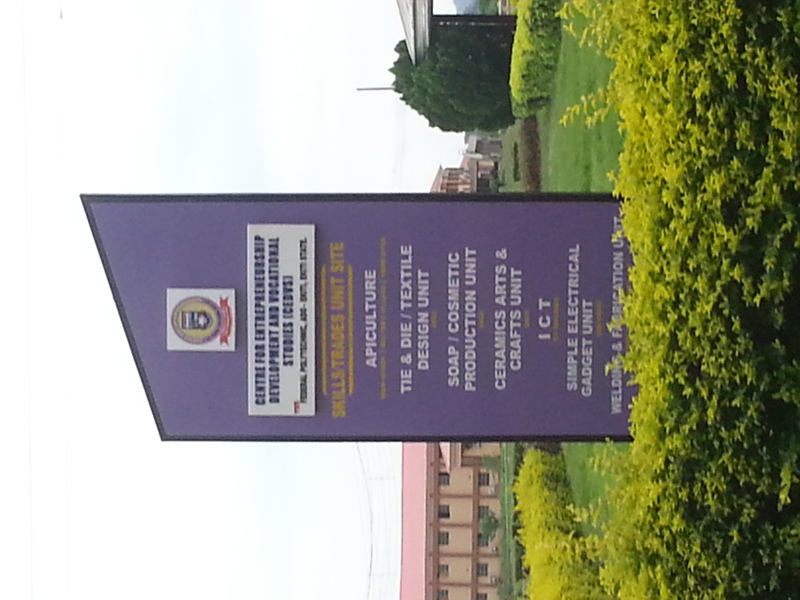 There is also a Center for Entrepreneurship Development and Vocational Studies (CEDVS), which is home to the apiculture and other agricultural programs. I mentioned some of the agriculture related studies in the previous post. The goal of the center is to prepare students to enter the workforce, or ideally to create their own businesses, after graduation. Each morning I have been eating honey which was produced locally by a graduate of the program. Today was a classroom day. My audience included the apiary instructors, other interested staff from the center, and a few outside guests. As a result, most of my listeners did not have a beekeeping background. I gave what I call my “Intro to Beekeeping” talk. This is a presentation I make when asked to do a short program on getting started in beekeeping. 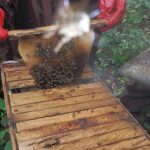 As the beekeepers reading this post know, one or two hours is not nearly enough time to cover such a topic. I teach intensive, full day classes, for new beekeepers and those who are seriously interested in starting, which essentially provide an outline of the subject and a guide to other resources. When addressing a general audience in a short presentation, I limit myself to bees and what beekeeping is all about, rather than discussing the how to. Today I began, as I always do in beginning talks, with a section on honey bee biology. Honey bees, like all insects, are absolutely fascinating creatures. I think that one of the major reasons people become beekeepers is that this is a hobby, or a vocation, which provides an opportunity to learn more about this amazing world. 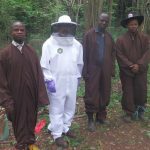 Whether or not people have an interest in becoming beekeepers, they usually enjoy learning about honey bee biology, and, judging from the questions they asked, this group was no exception. Since it was an educated audience, and I was in Africa, I spent some time discussing the scientific classification of honey bees, and the African subspecies. (I will have a separate post on this subject in the next few days.) I usually end with a discussion about how beekeepers combine modern technology and a knowledge of biology to manage honey bees. For this audience I spent some additional time talking about the unique aspects of U.S. commercial beekeeping, including the movement each year of hundreds of thousands of hives to California for the almond pollination. The plan had been to open hives with the apiary staff after the talk. However, partly due to questions and discussion at the end, that was not possible. The highly defensive behavior of the bees here tends to intensify as the day goes on. Most apiary work is done in the mornings. By the time the classroom session ended it was mid-day, and the apiary instructor thought it would be better to wait until tomorrow. We’ll try for an early start. We opened hives today. We were all VERY well suited up. I was reminded, as the other participants of today’s program were putting their protective clothing on, of one of the reasons I dislike wearing coveralls and gloves. For those who do not suit up on a regular basis, it takes a while. 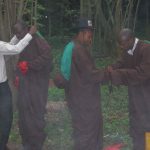 Several of our participants were non-beekeepers who were not used to donning the extra layers. 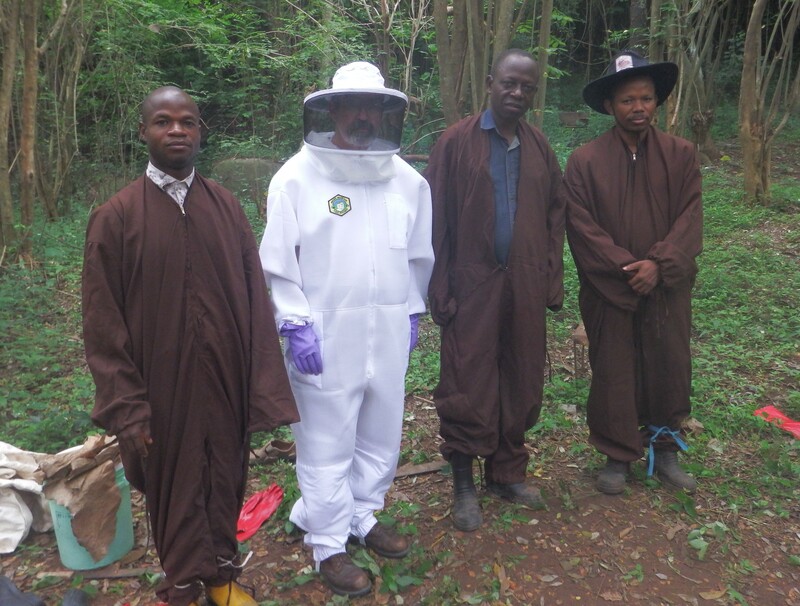 However, with African bees, one must be prepared. The apiary instructor knows his bees, and was certain that they would not be happy with us today. I have learned that this is not a period of flowering here, and there are not many food resources available for bees, which makes them even more apt than usual to resent intrusions. 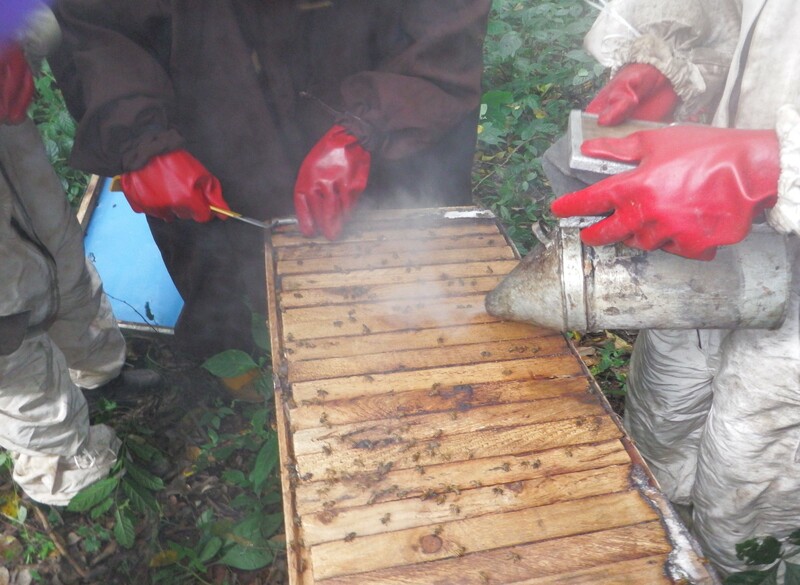 As we proceeded to get in to several hives, I found that they were not as bad as I had anticipated. I suspect that had less to do with mild disposition than with small colony size as a result of nectar dearth. In parts of the world with four seasons, honey bee populations begin to increase in the spring when flowers provide nectar and pollen to feed both bees and brood. As flowering peaks in late spring or summer, the number of workers in each colony also peaks, allowing them to take full advantage of the bloom to produce and store large quantities of honey. In regions such as the tropics, flowering and honey bee populations are typically controlled by only two seasons: rainy and dry. Since temperatures are always hot, the onset of wet weather brings a burst of blooming, similar to our April showers/May flowers scenario. Parts of Nigeria, but apparently not here, actually have two rainy seasons (a long and a short) and two dry seasons (ditto), with consistently high temperatures year around. 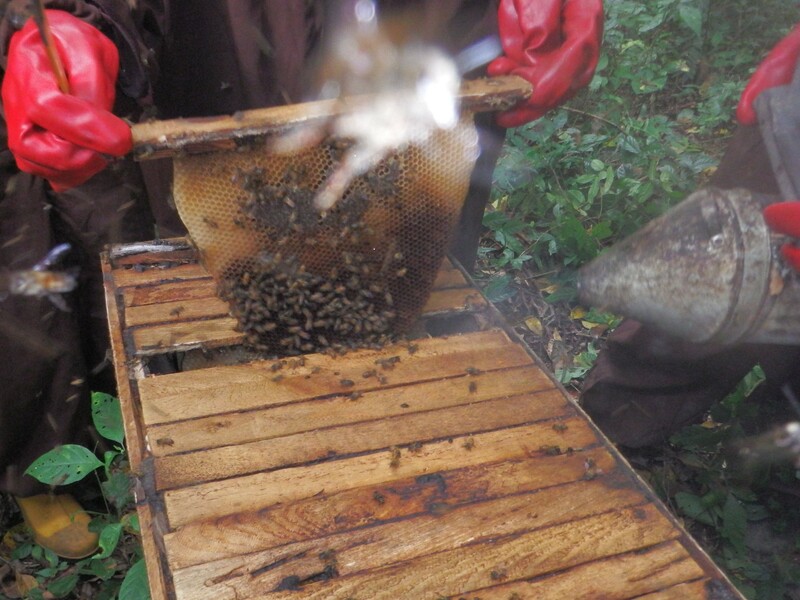 August is the end of the rainy season here, which is the reason for the current dearth and small hive populations. We have been having some rain in the evenings, but not a great deal. Consequently, though the bees are largely unemployed and irritable from the lack of nectar flow and they reacted quite defensively to our intrusions, we were not mobbed by large numbers of them. There is no instruction here over the weekend. 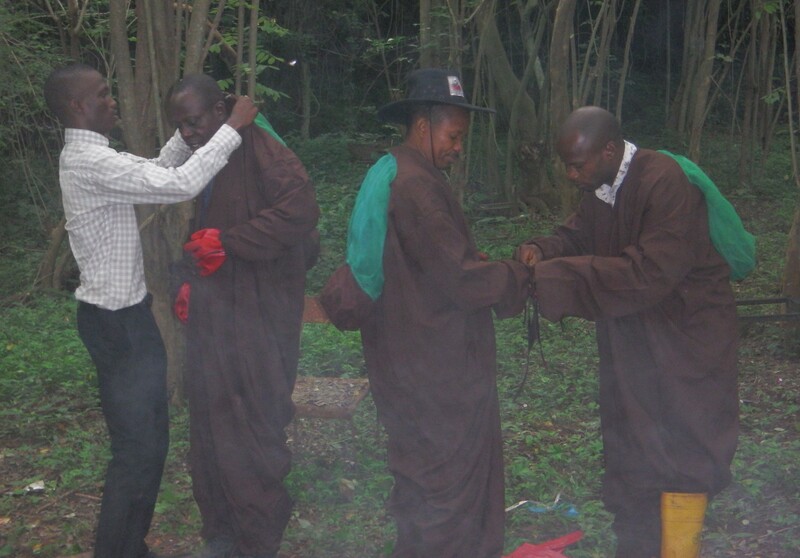 On Monday I will resume with two days of classroom sessions for the apiary staff. On Wednesday, I will start teaching classes for students of the institute.